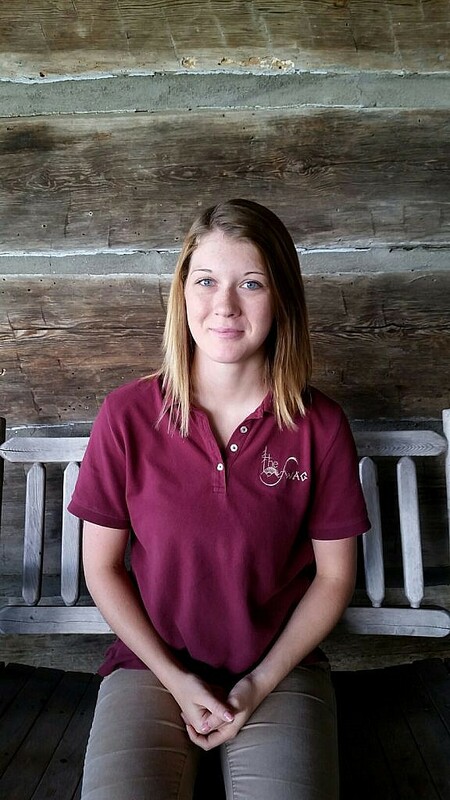 On this week’s episode of Meet The Swag Staff, we are pleased to introduce Shelby Bakken, our Assistant Manager of Housekeeping at The Swag, which was recently named a Top Resort in the South by Condé Nast Traveler. Shelby has been a key part of The Swag family since 2013 and is now in her 6th full season! Prior to working at The Swag, Shelby worked at the Cataloochee Ski Area in Ticket Sales and would babysit in her free time. As most Swag guests know, Shelby works with her mother, Brenda, who also happens to be her boss! Shelby is used to spending a lot of time with Brenda, as Brenda home-schooled Shelby for middle school and high school. Shelby has a three-year-old son, Walker, and our son, Will, always enjoys it when Walker comes up the mountain. Her favorite holiday is Halloween, so she particularly enjoys this time of year, and her favorite movie is Hocus Pocus. Walker has asked Shelby to be the Incredible Hulk for Halloween, and we are hoping to get some photographic evidence in November! What is your favorite thing about working at The Swag? My favorite thing about working at The Swag is how close I have gotten with everyone there. They have become a family to myself and even my son. They make sure to take care of each other. Kayla is not just a coworker, but has become a sister. What is your favorite room at The Swag? My favorite room would have to be Gail's Room. The view is absolutely beautiful and the room itself is just so beautiful. One day I'll test out the soaking tub! I like to spend my free time with my three-year-old son, Walker! He is super into dinosaurs and superheroes so there's a lot of pretending and make-believe games. He's become a great helper with his momma's daily chores. If you could travel anywhere in the world (excluding The Swag), where would you go? If I could travel anywhere in the world, it would definitely have to be Hawaii. It's been a dream of mine for years. If not Hawaii, I would go back to Disney World with Walker. Shelby—along with the rest of the housekeeping team—are among the hardest workers at The Swag. Many of the guests don’t ever see the housekeeping team doing their work (they are often called “ninjas”), but we are incredibly grateful for Shelby and the rest of the team’s hard work. And we are especially grateful this time of year, when The Swag is full of guests and these ladies work tirelessly. She is a great mother and we are very lucky to have her here at The Swag. Come visit Shelby & the rest of the housekeeping ninjas at The Swag by reserving a room now or by calling 828-926-0430.